wild sound, which had a lot in common with what was christened 'Garage Rock' in the northern hemisphere at the same time. 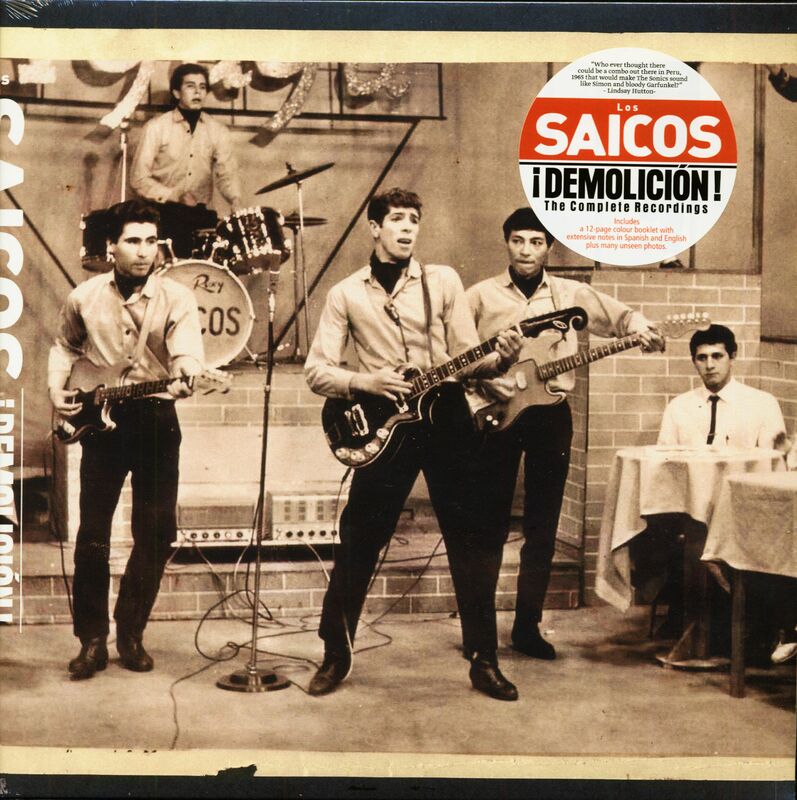 Los Saicos shared genes with The Sonics, Rocket From The Tombres, The Cramps and Black Lips. This publication gathers all her recordings and tells the magnificent story of Los Saicos. The archaeology of rock'n'roll has much in common with other forms of digging. Important finds require a reassessment of the old certainties. I had never heard of Los Saicos before, but I had the 'Wau Y Los Arrghs! 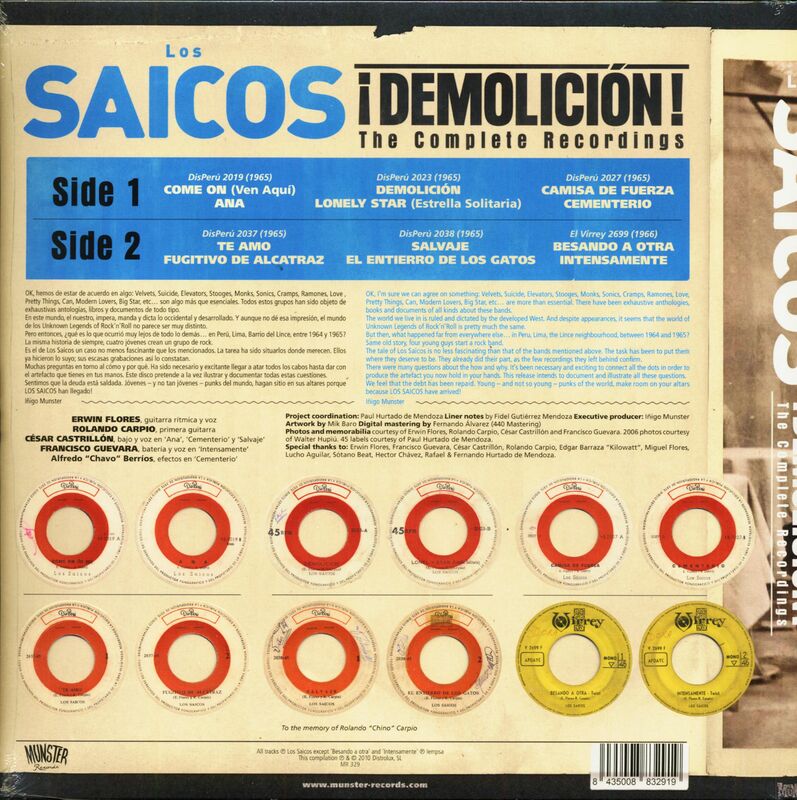 version of 'Demolicion'. While I liked the wildness of the track, I didn't think for a second that the original might still be disturbed. More importantly, this hissing whirlpool of nihilism was recorded in Lima while the rest of the world celebrated the Beatles. Chemistry is a factor that is more important than theoretical knowledge or skill. There is a point at which nature takes the lead - the individual must obey. Who would have thought that there would be a combo out there in Peru that would make The Sonics sound like Simon & Garfunkel? Customer evaluation for "Demolicion! - The Complete Recordings (LP)"